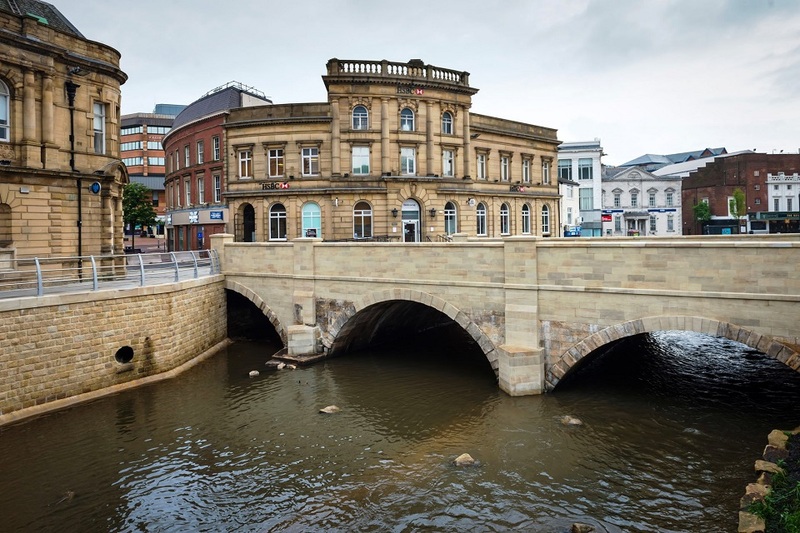 Richard Farnell, Leader of Rochdale Borough Council, reflects on an Environment Agency backed project to reopen the River Roch in Rochdale town centre and reveal its historic hidden bridge. When I found out that the Environment Agency and Heritage Lottery Fund were backing this project, I was heartened, not just because we needed their support to make it a reality, but because it felt like they believed in Rochdale as much as I do. I’ve seen the borough, particularly Rochdale town centre, go through many changes over the years and, like many northern towns, we suffered when the recession hit. Well-known shops shut down, leading the vacancy rate to soar well above the national average. Rochdale began to feel very unloved. But 6 years on, we’re undergoing something of a resurgence, with £170 million of money from the council, other public bodies and the private sector being spent in Rochdale town centre since 2010. 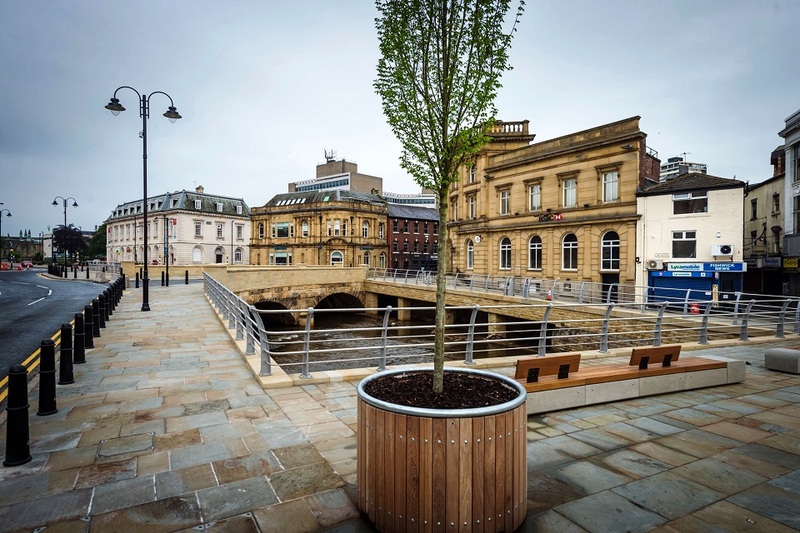 And the project that typifies what we’re trying to achieve, probably more than any other, is the one which we’ve just completed, the re-opening of the River Roch. Hidden underneath concrete for almost 100 years was the borough’s workhorse, a packhorse bridge and river over which scores of Rochdale folk transported wool from Yorkshire to be finished in Rochdale’s mills, making a lot of money for the town in the process. At the height of the recession, these glory days couldn’t have felt more like a dim and distant chapter of our past, a benchmark which our critics could use to point out how much times had changed for this once thriving industrial town. But where once wealth was generated in Rochdale’s mills, now inward investment and tourism will usher in the pounds, approximately 6.72 million of them over the next 10 years in the river’s case. The heritage which signalled boom time for the Victorians can do so for us, but this time through tourism and investment. And the river re-opening also has an even more tangible benefit. It reduced flood risk for 40 properties in our town centre; that’s 40 businesses whose livelihoods depend on being able to stay open all year round, 40 businesses who bring money into the local economy and employ local residents. The town’s old workhorse swung into action again on Boxing Day last year, preventing flood water reaching our Grade I listed town hall and the many businesses in its vicinity when heavy rain wreaked havoc across the north of England. Over 160 businesses in our borough were affected by the floods and the shocking sight of Rochdale town centre under water will stay with me for a long time to come. For a borough which is investing heavily to build a great future after difficult times, it felt like the last thing we needed. Even more memorable than those scenes was the response of our fantastic community here in Rochdale. From the 100 Syrian refugees who filled sandbags to the huge number of volunteers who simply turned up and pitched in and the council staff who left their homes to come into work, it’s these important gestures that will endure for me. Many of these local businesses have since re-opened, but it served as a stark reminder of how important they are. They are the lifeblood of our community, and the re-opened river’s role in helping to reduce the incidence and impact of floods in the future will be vital for them. A few weeks ago, the great and the good gathered together with many of our residents to watch as we formally cut the ribbon and re-opened the river and bridge. Among them was a 101-year-old-lady called Alice Nicholson. She has seen the town centre go through more changes than most and the memories of people like her help connect us with our past. Also at the event was our children’s champion Zara Shah, who is just 10-years-old, and a member of our youth parliament, Tabitha Rusden. It felt very fitting that they were there, as our regeneration programme is about raising the aspirations of our young people and giving them a better future. With the presence of a lady who remembers the river being open the first time round and much younger women who are seeing it open for the first time, it felt like we’d gone full circle. 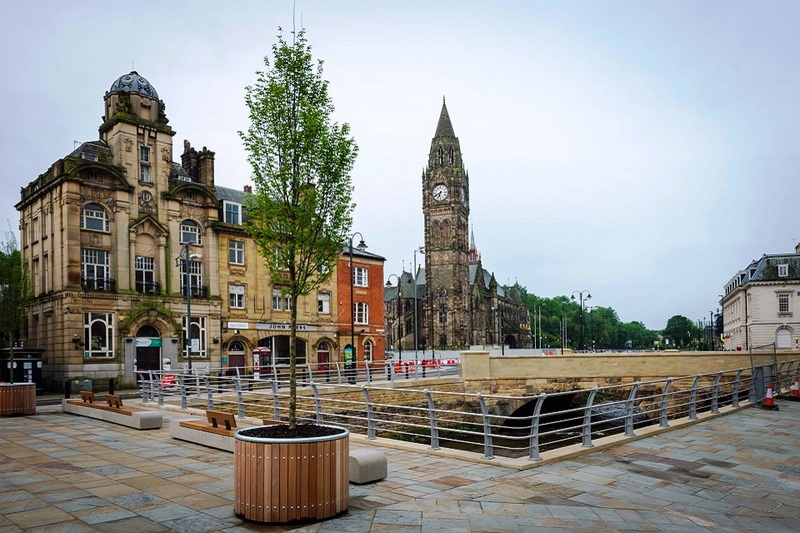 The river re-opening project truly is a celebration of Rochdale’s past, present and future. Absolutely lovely. A very good reason to visit Rochdale!